Say goodbye to the traditional bulky, boxy speakers. Edifier seeks to pioneer a new era of creativity and design when it comes to its Bluetooth bookshelf speakers. A perfect marriage between aesthetic and functionality. Introducing a sound system so revolutionary that it completely redefines what bookshelf speakers look like, feel like and sound like. 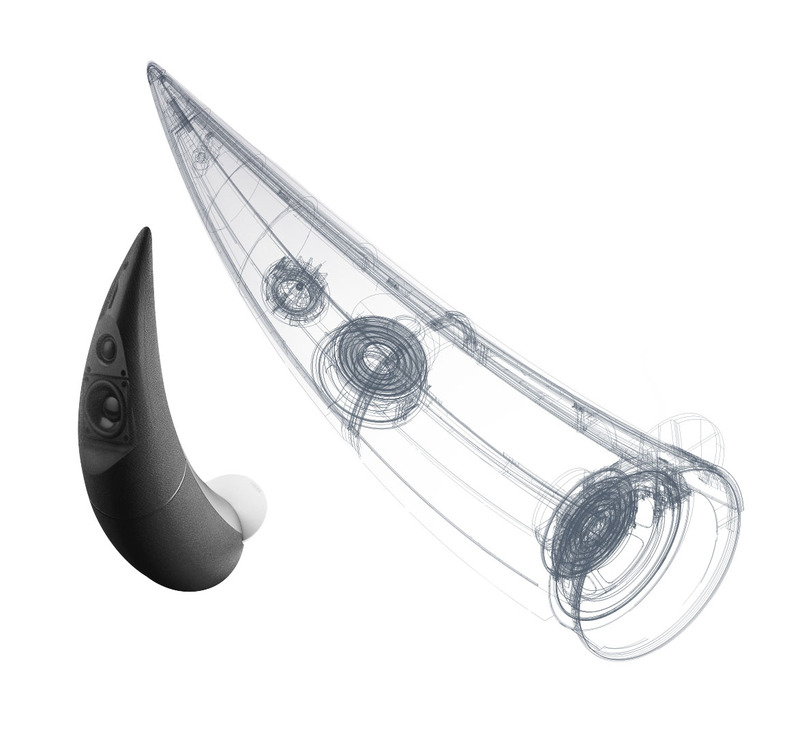 Standing at 15” tall, the Spinnaker is engineered to be both visually striking and sonically stimulating. Representing the best of Edifier’s design excellence and technological innovation, this iconic bookshelf speaker system is the winner of the Consumer Electronics Show (CES) Innovations Design and Engineering Award. Edifiers award winning Bluetooth bookshelf speakers evokes such a strong response from the consumer. We understand that audiophiles seek a full experience of performance and design. 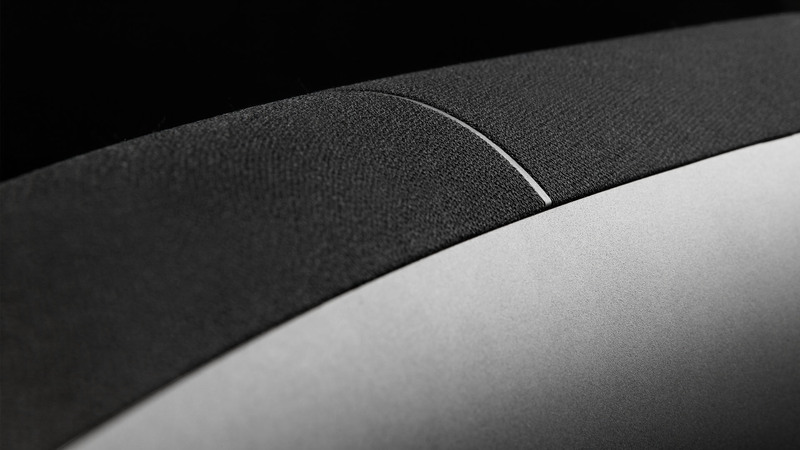 The e30 Spinnaker speakers deliver that full experience to the consumer in totality without compromise. 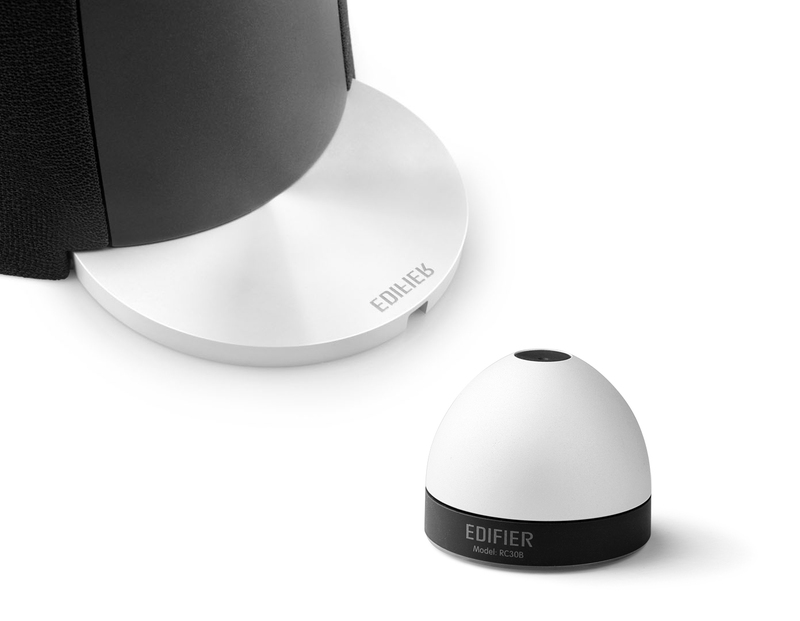 The award-winning Spinnaker by Edifier is an unprecedented sound system. The abstract shape with diverse attributes is a great addition to any home or studio. The e30 Spinnaker Bluetooth bookshelf speaker is a system with stunning look and substance. Each satellite is equipped with a ¾” silk-domed, front-facing tweeter and a 2¾” midrange driver, reinforced with a 4” downward-firing subwoofer, something you won’t find in many bookshelf speakers on the market. So you can enjoy an incredibly authentic reproduction of sound with crisp highs, clear mids, and deep rumbling lows; it doesn’t stop there. For enhanced performance, the Spinnaker incorporates Digital Signal Processing (DSP) technology with separate 6-channel digital crossover. The result is superb sound full of details and emotions. 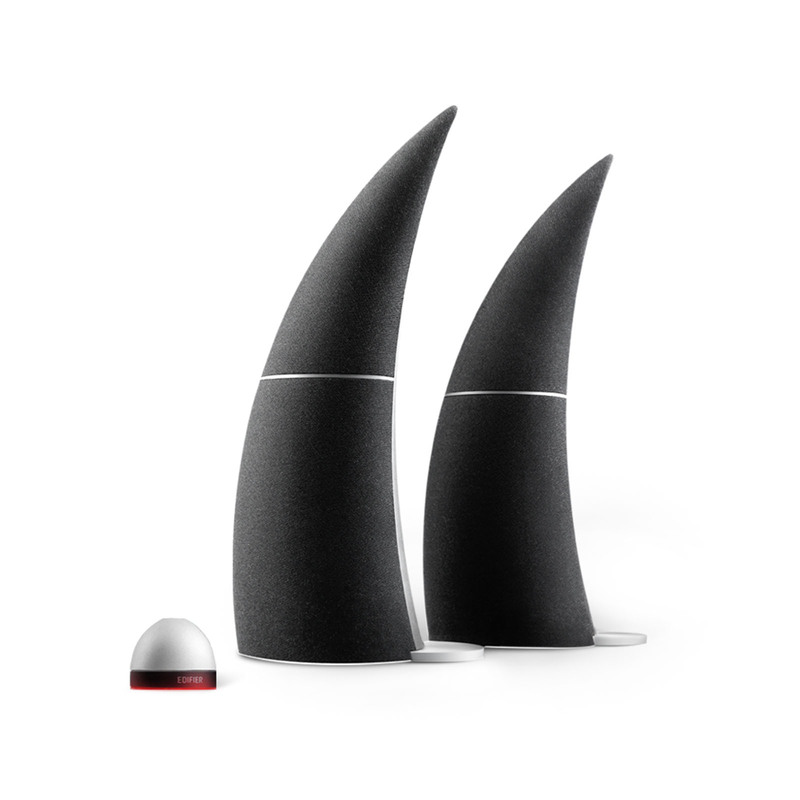 Spinnaker is Bluetooth enabled, allowing audio connectivity to any Bluetooth device. The multi-functional dome-shaped remote, controls track navigation, play-mute and volume adjustment within a 30’ radius. An optical/auxiliary input port is available for connectivity to other multimedia devices. 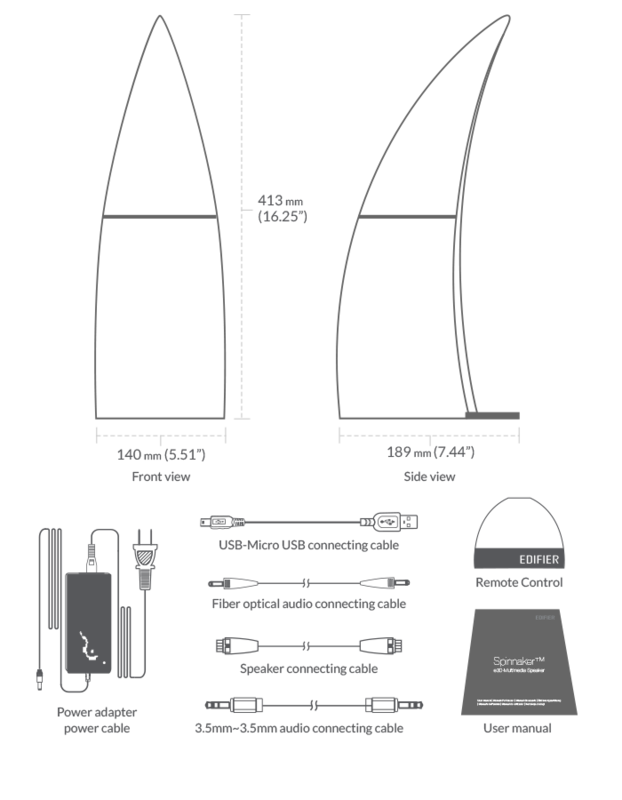 An output port allows an external subwoofer/speaker to be connected for additional bass performance, making Spinnaker a unique and versatile system. The Spinnaker is not only the product of advanced technology, it’s also the crystallization of artful craftsmanship. It comes in the classic colors of black and red, making it a stylish accessory that complements any décor. The e30 Spinnaker Bluetooth bookshelf speakers give a strong impression of a new age look and feel. 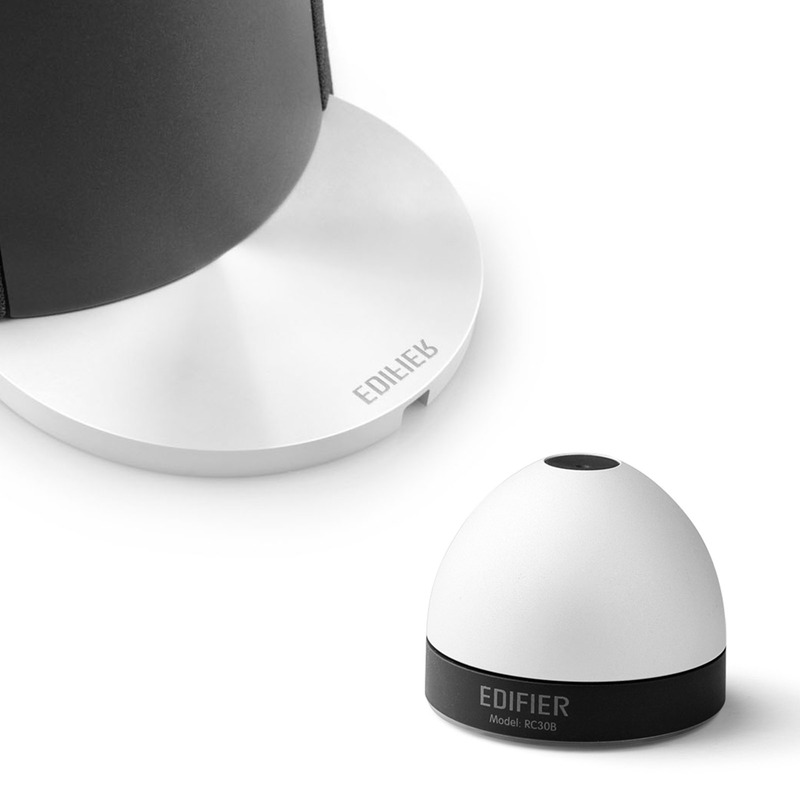 Edifier satisfies our inner Sci-fi curiosity, combining innovation with high quality performance. Not only that, but the Spinnaker bookshelf speakers are a breeze to set up; no hassle or fuss. Our technological appetites are pleased with what the e30 Spinnaker delivers. Millennials especially can appreciate the design and it can even act as a conversational piece for home gatherings and celebrations. The e30 Spinnaker Bluetooth bookshelf speakers perform well on all ends in virtually all areas of technological and social activity. 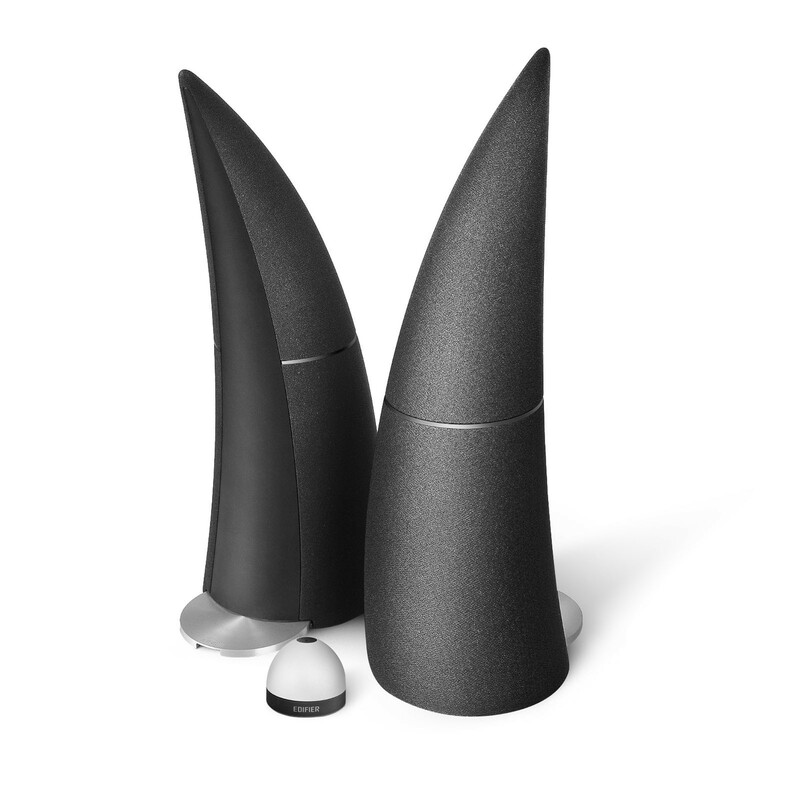 The Spinnaker bookshelf speaker system is completed with a dome-shaped wireless remote control. Encased in an elegant aluminum shell, the multifunctional remote offers a smooth operating experience. It lets you effortlessly adjust volume, track navigation and play/pause preferences. The remote is illuminated at the bottom with a red halo to add a pop of color to your listening experience. To recharge the remote, simply connect it to a power source with a micro USB cable. The wireless remote is a wonderful addition to the Spinnaker feel and performance. Copyright © 2016 Edifier Hong Kong. All rights reserved. Site by Ventmere.